The Backup Camera is mounted by embedding it inside the specific car housing for a clean and secure look. It will not plug into your stock indash monitor system, but we supply monitors that can be placed anywhere such as the Visor, Dash, Mirror, etc. These monitors can be made to look stock and unnoticable. When you buy it from us you will avoid the extremly high prices at the dealers and it will look the same and will have the superior quality. We also have MODULES that plug INTO your navigation system. This means you use YOUR stock monitor with our camera. Its looks exactly like it did from the factory. Simply go to the Car Specific Section of our site and find your car, we have them all! You can also click on the related products to the right of this text to go directly to the item. The camera has a 120° angle which is best viewing angle. With 120° everything behind the vehicle can easily be seen, it is also color, waterproof and has military grade night vision. The camera is also durable for use in the roughest weather conditions. This camera will install for the ideal view of the road behind you. Keep in mind with this camera the system will look like it was stock Buick Backup Camera right from the factory. Use the drop down menus on the right to choose the options for your system. 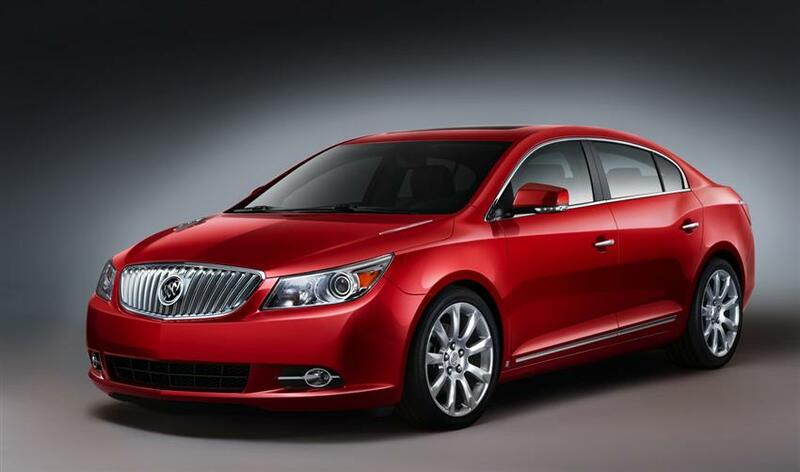 You can choose any of our monitors, all of them work with this Buick Backup Camera. You can also make the camera wireless so it will work wirelessly and there will be no need to run a cable throughout your vehicle. Here at TadiBrothers we have many options for montors. We have Monitors that sit on the dash, Mirror monitors that clip over the mirror and are fully reflective when the camera is not active. We also have monitors that take the place of the visor in your Buick. Our LCD monitors are very light as well as thin so they sit on your dash and look great. In addition, it has two video inputs so you can connect a camera and a game system or DVD player, it can also be powered by a cigarette lighter adapter. Super easy installation and see the whole world behind you in rich colors. The Mirror monitor doubles as a regular mirror, when the camera is off, and a monitor (7” viewable) when the camera is on. Remember, even when the camera is on you can still use the parts of the mirror section that remain a mirror. In addition, it has two video inputs so you can connect a camera and a game system or DVD player. This mirror monitor is compatible with all our cameras and any car; it connects to any power source or a cigarette lighter. This mirror mounts by clamping on your current mirror and the clamps are adjustable so it will fit all cars. Finally there is the visor monitor. It simply takes the place of your current visor and comes in three different colors. You can connect two cameras to this as well as a DVD player or video game system. It can also be powered by our cigarette lighter adapter or you can power it somewhere inside the headliner, any 12V will work. All these options can be found on the right of the item using the dropdown menu. If you already have an aftermarket Navigation monitor or radio with a screen such as Pioneer, JVC, Sony, Alpine, and more, you can connect our cameras to any of those, its fully compatible.